A change in season calls for a change in interiors! We’re boxing up the lighter fabrics, whipping out anything cozy and placing it in every nook and corner of our home sweet home. Question is- where do we even begin? How do you bring true warmth into your space? As we transition from autumn to winter, we thought you’d like a few tips (and perhaps a recipe to a super tasty winter bevy, too) to ease you into the new season. Let’s get to it. #1- This one’s a no brainer! 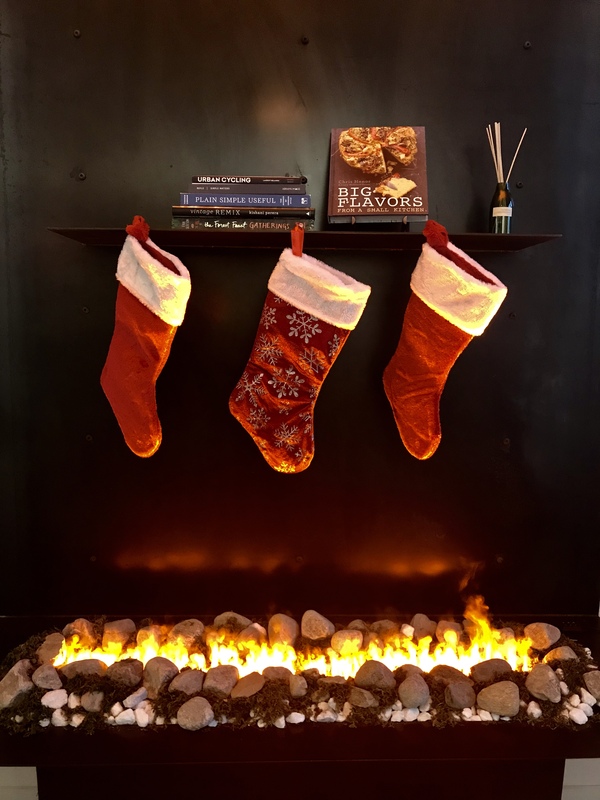 If you’ve got a fireplace, use it to aesthetically warm the room, and if you’re inspired by nature, bring the outdoors in with a stack of firewood. If you don’t have a fireplace, check out this decorative electric concept. A wall fireplace made up of steam and lights! Multiple configurations available. Please ask in store for more details. #2- Candles are just about the easiest way to transform any space into a calm atmosphere. Certain scents elevate our energy and mood which in turn creates a warm and pleasant aroma throughout the entire suite. #3- Blankets, throws and pillows compliment this season incredibly well. Soft, neutral hues interact to create a serene and relaxed mood. 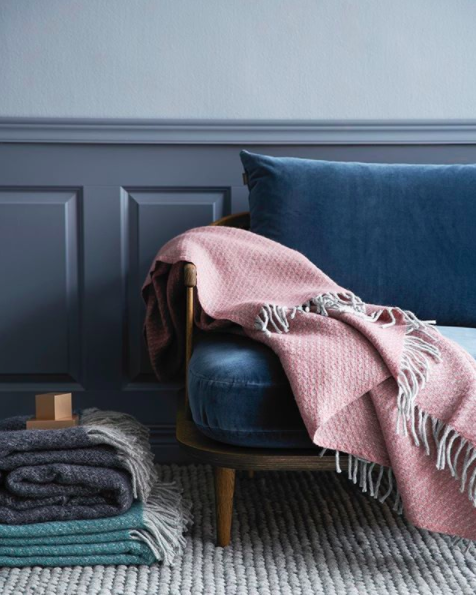 Whether it’s fuzzy oversized pillows on the sofa or a few thick wool throws hanging off your living room chair, you can’t go wrong. Also, don’t be afraid to layer up multiple fabrics and textures, it’s a great way to create some contrast in your living space. 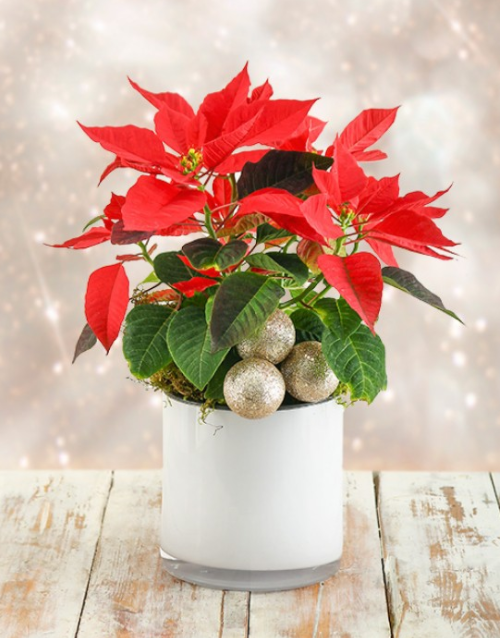 #4- Poinsettias: These beautiful plants that flower during the winter season in southern Mexico, are particularly well known for its red and green foliage and is widely used in Christmas floral displays. 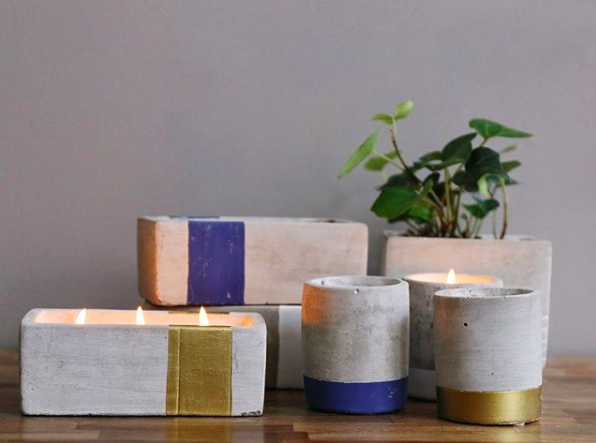 They make for a perfect gift, and they can play a key role in your holiday home decor. 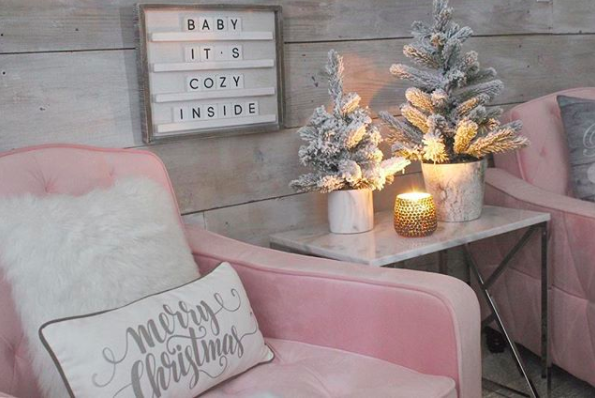 #5- Warning: This will make you want to invite your best friend and cozy up by the fire ASAP! Grab your vessel and place the concrete base into the oven for 25 minutes at 200°F. Combine 1/4 c. half & half, white chocolate and cinnamon stick in a small saucepan, add spices and pour into your vessel. Voila! 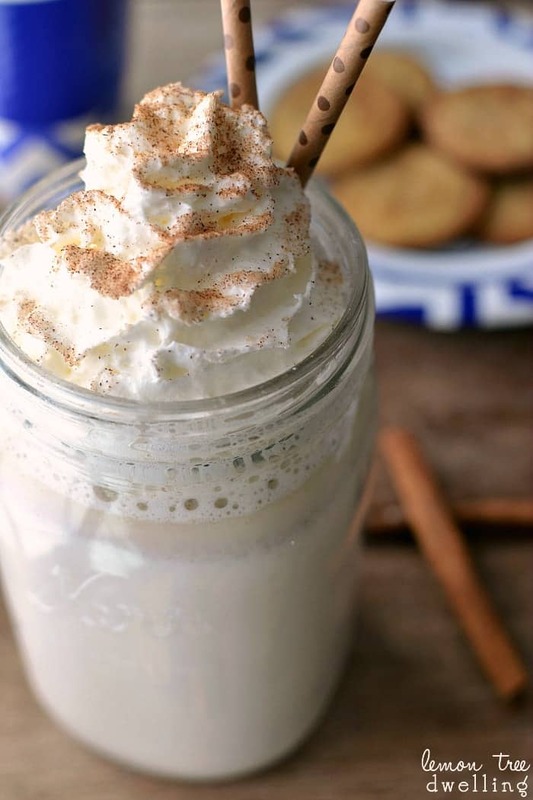 A mouth-watering wintery Snickerdoodle Hot Cocoa drink to sip around the fireplace this Christmas! Available at all Condo Culture locations, from $64 For full recipe and a list of ingredients, please see sources. Before you go, a quick reminder of today’s community event in Hamilton; Window Wonderland begins this evening from 6:30-9:30PM. The Locke Street Christmas tree will be lit at 7PM (in the lot beside the West Town.) The tree lighting will be followed by a 30 to 45 minute community Christmas carol sing-along led by the St. Joseph’s Catholic Elementary School Choir. Many merchants will stay open until 9:30PM to accommodate those who want to get a head start on their Christmas shopping!! So be sure to swing in and say hello! Have a fabulous and warm Friday!